Above: This finished basement is painted in a warm, butterscotch paint and features Art Deco inspired wrought iron lighting fixtures from Hubbardton Forge. 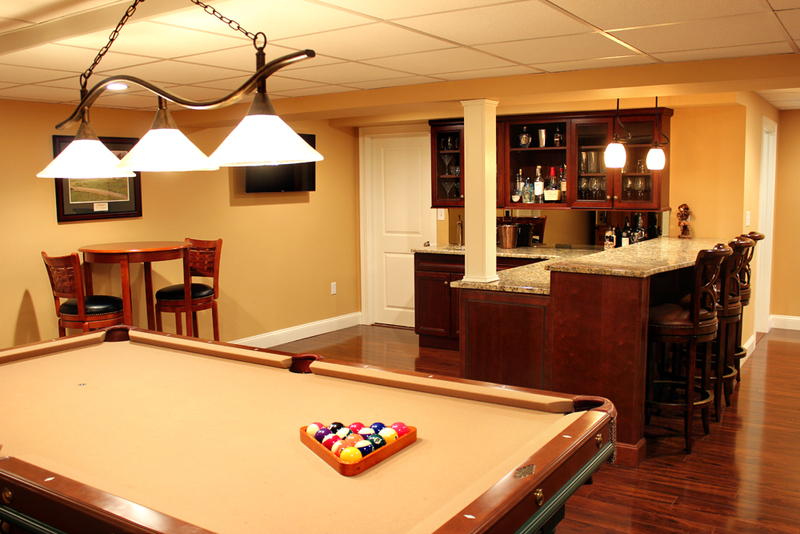 Left: The two level counter bar is topped in rich granite. The swivel stools allow guests to view either one of the two televisions in the space. Right: Custom cabinets create a spacious bar area which is highlighted by a mirrored backsplash. 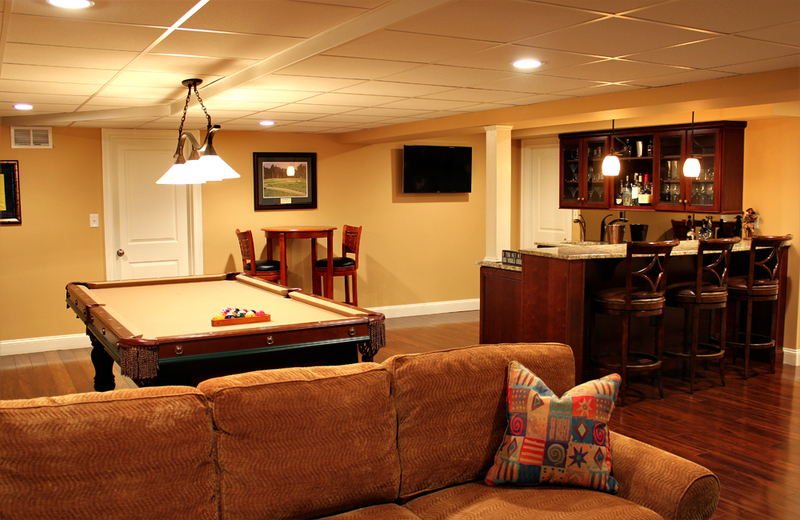 Above: The new finished basement creates the perfect space to entertain guests with drinks, pool, games and movies.